This week, Mike Chong from Merch Monster shows off Printavo's customized reporting data. You can download your customer data to analyze which customers are most valuable to your shop. It's a simple process that can streamline and improve your sales and marketing efforts. You'll be able to target and nurture the right customers. Think about a car dealership: someone that's trying to purchase a used $5,000 Toyota will typically get very different service than someone looking to buy a $70,000 BMW. Print shops provide custom services to clients across the income spectrum – but it's a simple reality that your biggest customers drive your revenue and sustain your business. So what should you do with this information? Begin prioritizing and streamlining your marketing and sales efforts to focus on the highest-value customers in your business. Focus your email and sales outreach efforts on the top customers. Top customers get more frequent updates that aren't targeted at sales and discounts. Focus on building and nurturing a relationship. Offer targeted deals and promotions to customers you want to develop. Your middle-tier customers can be nurtured and persuaded with targeted deals, discounts, and promotions. Tag and track top spenders for VIP treatment and customer service. You can prioritize your top spenders in your preferred customer service system like ZenDesk. Give them the "white glove treatment." Exclude your top spenders from promotions and discounts. Replicate your top customers by building customer profiles. When you know who your top customers are, you can replicate how you acquired them – or build profiles of similar customers to start specifically targeted sales and marketing efforts. Export your customer data as a spreadsheet, then utilize your preferred spreadsheet program to break down the data. This process is actually quite simple! Head to the Import / Export Data page in Printavo. Export your Invoices. Select the date range you'd like to look at (we suggest approximately the past year to get a solid snapshot). Printavo exports a great deal of raw data for your use and analysis. New to pivot tables and data analysis? Don't be intimidated – it's actually easy! Clean up your data. Use Excel, Numbers, or your preferred spreadsheet program to filter and clean up your data for simpler analysis. We will give you instructions for utilizing Excel, but the general directions are the same regardless of platform. Remove any Quotes. We don't want to look at any jobs that are in the Quote stage. Use a filter to remove them. Copy and paste the remaining data into a new sheet. Be sure to use "Paste Special > Values" to preserve the integrity of your data in Excel – this will paste only what you see displayed. We will break this data down in the next step. Create a Pivot Table to list your customers by email address and total spend. Pivot tables are a simple and valuable way to get a high-level overview of your top (and bottom) customer segments. For Rows, select Customer Email. Drag and drop "Customer Email" into the "Rows" field. Click image to see in full. Relevant areas are lighter. For Values, select Sum of Total. Drag and drop "Total" into the "Values" field. Sort the data by Total > Descending. You now have access to a simple overview of your clients, sorted by how much they've spent with you over the past year. From here, you can do a variety of interesting and informative analyses to target your sales and marketing efforts toward your highest-value customers. Assign percentages of your total revenue to each customer. Divide a customer's yearly spend by your total yearly revenue (and multiply by 100) to obtain the percentage of your total revenue that each customer makes up. Create a column for this data to quickly see where the bulk of your revenue is coming from. Your formula probably looks something like this (where B1 is Customer Total cell and B50 is your Total Revenue cell). Assign customer segments based on percentage of your revenue. With the above data, you can quickly determine who your top 10% of clients are. Use Excel's percentile and quartile functions (linked below) to help you. Top 25% of revenue: Your highest value clients. Top 50% of revenue: The "top half" of your clients. Bottom 25% of revenue: The very bottom of your clients. Bottom 50% of revenue: The "bottom half" of your clients. Divide your number of customers into 1/4ths. If you have 400 total customers, survey your top 100 and your bottom 100. Find how much revenue each cohort contributes. There are multiple helpful Excel commands to streamline the data analysis process. These functions can help you determine which customer segments are making you the most money. PERCENTILE. You can quickly break down data sets into your own preferred percentiles. QUARTILE. Break data down into quarters. Learn a bit more about these functions here. Now that you've used your Printavo customer data, made a pivot table, and created your own customer segments based off revenue – what should you do? It's time to utilize this data to create targeted messaging and customer service. Import your email data into an email marketing suite like intercom.io or MailChimp. You can build segmented campaigns for each tier of customer you have. White glove treatment. Mark and prioritize these customers. They are likely driving a significant part of your business. Anyone that handles customer service should know who these accounts are. Do everything to keep these customers happy. Exclude these customers from promotions and discounts. It seems counter-intuitive, but these customers are likely invested in their relationship with you. Avoid offering them discounts and deals. Save those for customers on the cusp of becoming your top clients. Build relationships. Go to where these clients are and build real relationships with them. Build long-term email campaigns. Personally contact them periodically. Are they a seasonal business whose needs you can anticipate? Can you co-sponsor an event with them? Stay in constant contact with these valuable customers. Nurture. You can take steps to nurture your bottom 10% of customers. Offer discounts, promotions, and perks for returning to your shop. But the volume of work required to do this – and the low potential payoff – means you should do this as a last resort. If your bottom 10% of customers is made up of dozens of people, it may not be worth the effort. Eliminate. Can you contract out these jobs, eliminate them, price them out of your shop, or refer them to a shop that needs the business? If the bottom 10% of customers only comprise a minuscule amount of your revenue – but take the same amount of time per customer – it's simply not a winning proposition. Now that you know who your biggest spending and lowest spending customers are, you can create solid strategies to get more sales from the right customers. Take stock of who your best customers are. Are they similar, or is there a large variance? What field do they come from? Mike's shop is in Oakland, so he focuses on emergent tech companies in San Francisco (like Lyft above). Maybe you'll need to focus on a different demographic – trade unions, construction firms, sports teams, and many others are great ideas for who to sell custom printing to. How did you get these customers? Your biggest clients may come from channels you didn't expect. Can you replicate that success and find similar customers that are accessible through the same channels? Are there similar companies and brands? Are these customers willing to do referrals? Once you have grown your relationship to a personal level, see if your best customers are open to referring you to similar businesses or other businesses they work with. Can these accounts grow even larger? Are you really meeting these customers' needs? Have you captured all of their merchandise needs? Is there some other aspect of their business that you can print for? 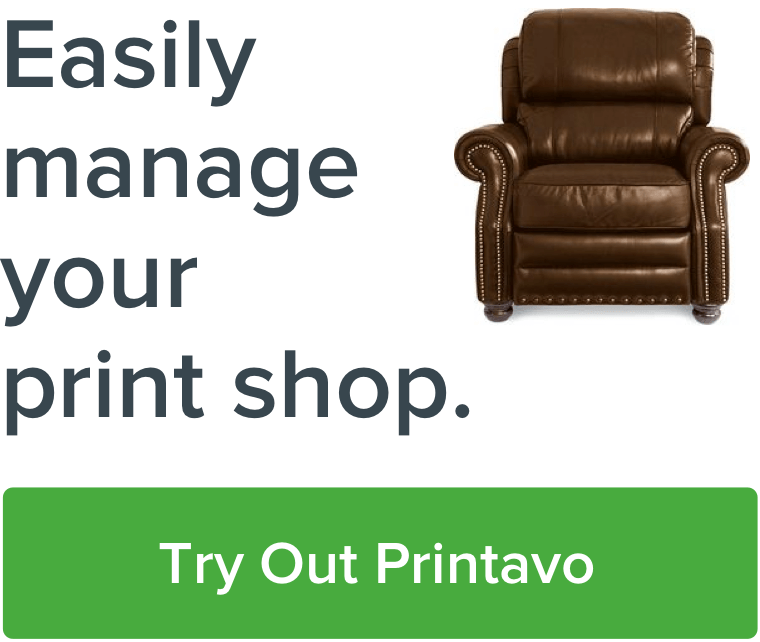 This is just the first step in utilizing Printavo's data to grow your print shop. Data analytics are one of your most-requested features, and we intend to introduce exciting changes to how you can interact with and analyze data from your Printavo account. This article scrapes the surface of what's possible – more to follow shortly! Have a great idea for what to do with Printavo data? Comment below with questions or suggestions!